Debit cards offer both convenience and risk. 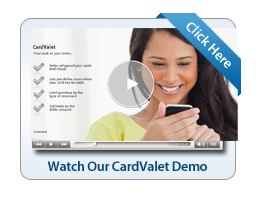 CardValet® helps you manage the risk by allowing you to define when, where and how your card can be used. Turn your card "off" and no purchases or withdrawals are approved until the card is turned back "on"